If your a reader of this blog, then you will know that I'm both a dad to a one year old and also the creative director of a design studio. As you can imagine, I don't get too much downtime and only get to write in a very small window, often late at night and on the weekend. My family, then my commercial design work always take priority in my life and it's become more evident to me that I'm getting less time for my hobbies such as writing my blog. I'm cool with it! I love being a family man and I'm passionate about my work. To this end, I've decided to make a couple of changes. 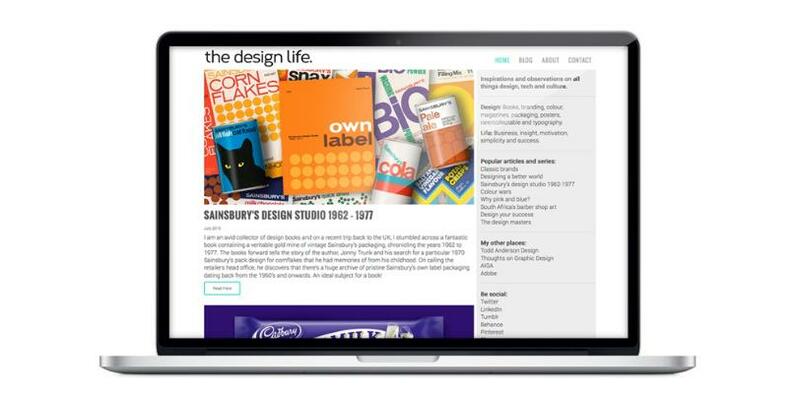 Firstly you may have noticed that the design life site has switched to a more classic blog style. This means that the blog is now a little more focused on writing as content over the visual form. You may also notice a lot of posts over three days in July of 2015. That's simply because I ported two years worth of posts in bulk to the new blog. I thought it would be good to keep everything in one place! I've also started using both Blogger and Tumblr as a faster way to connect with my readers. This isn't replacing my blog, but instead giving me more scope to my readership. It also allows me to write a lot faster and on the fly, making it easier to build conversation and interaction with my readers, which for me is the most important thing about any weblog. I hope you enjoy my new, more streamlined Design Life! Let me know what you think.